About this project SI Club Budapest ran a social awareness-raising campaign to support the elimination of violence against women on 25 November 2015. Two photos symbolise the Club’s commitment and support for victims: In the first (below), taken during the event, the group is standing in front of the statue of Veres Pálné, a pioneering figure in the education for women and girls. 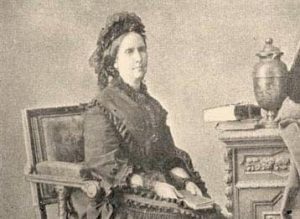 Born 200 years ago, she established Hungary’s first school for girls in 1863, lobbying other women and politicians for support. When assistance from the state was not forthcoming, Pálné launched the school on her own. The second (right) is of a recent painting by Kati Verebics, a talented young Hungarian artist who uses self-portraits to examine issues of femininity and identity. Rather than being an object to be looked at, the passive role that women have played historically in painting, it is Verebics herself who looks confidently and directly out at the viewer, subverting this traditional relationship. The objective of this project was to break the silence around domestic violence. Actions like these draw attention to the problem and are a first step towards changing attitudes.